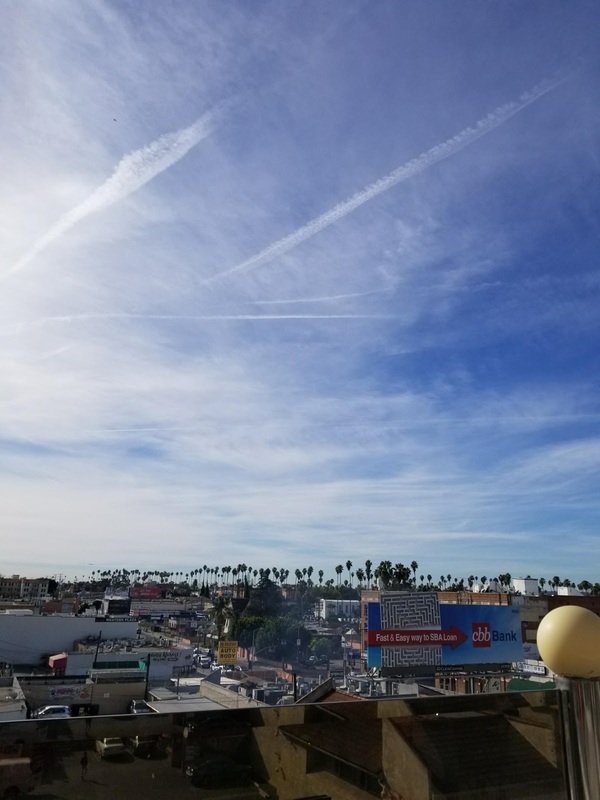 I recently went on a quick trip to Los Angeles, California (for a 3-day weekend) and packed as much site seeing and food in that short amount of time. 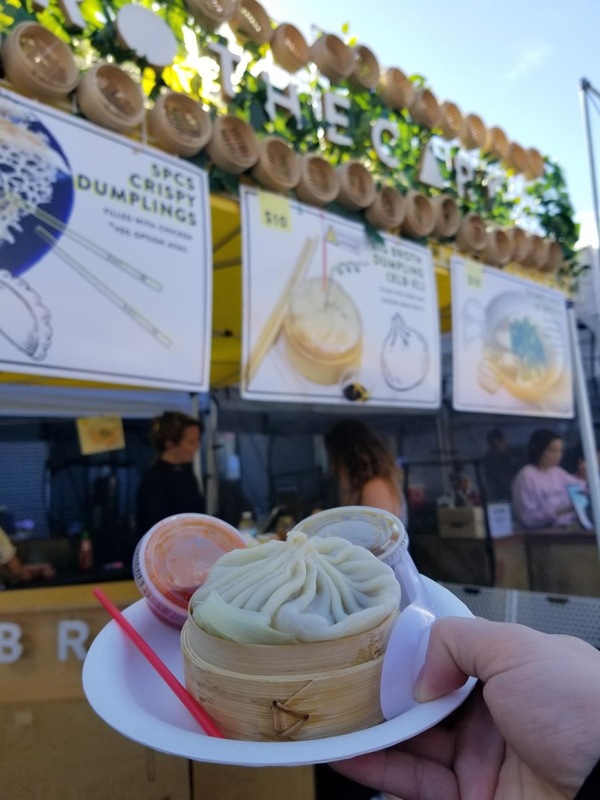 Below is a recap of my latest adventure and places I definitely recommend going to! 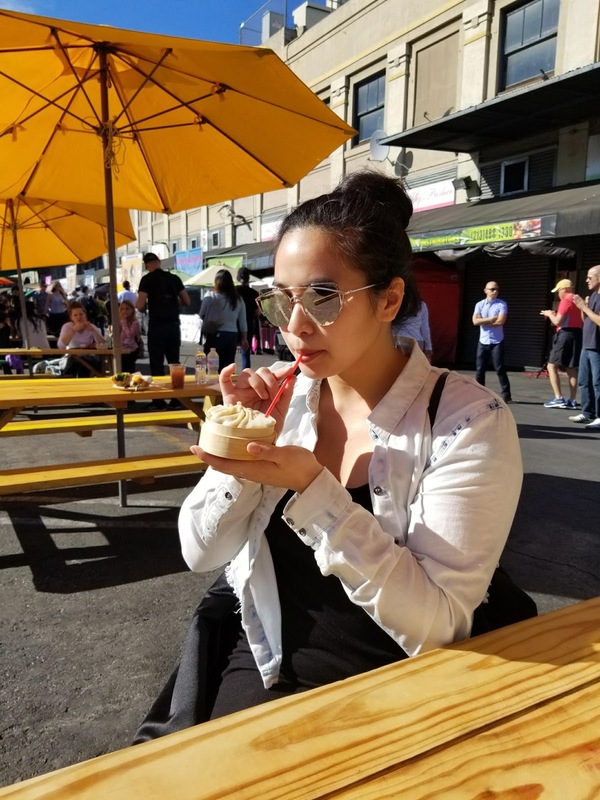 The sunny weather was much needed as it's been nothing but cold and rainy here in Seattle. 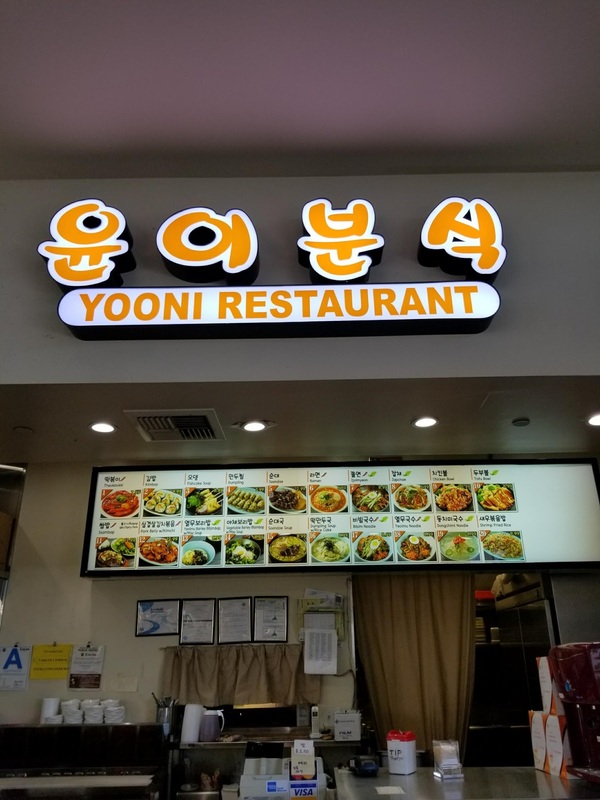 As with any trip to where In-N-Out is available, we stopped by here as our first places to eat. 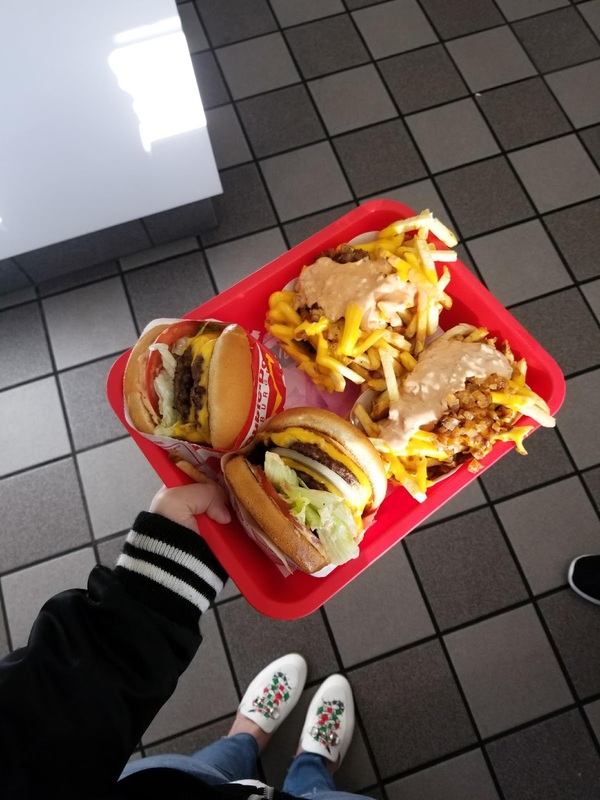 I'll be honest, In-N-Out isn't my favorite and these fries were definitely cold -___- however, the burger was good a least and it did its job! Plus, it does make for a nice photo, haha. 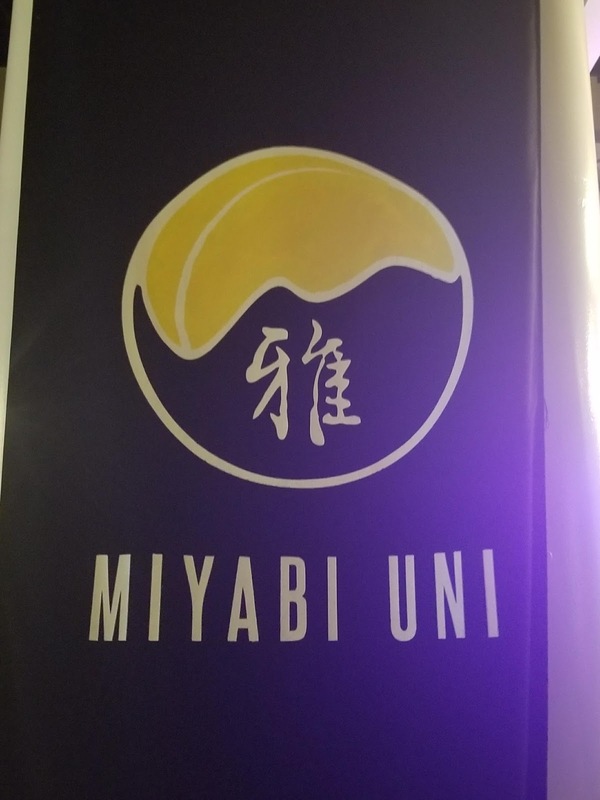 Miyabi Uni - My friend heard about this place from Buzzfeed (I believe) and being the big uni (sea urchin) fan that I am, she brought this place to my attention and OF COURSE I had to make a RSVP while we were in LA. This restaurant has uni in almost every dish! She isn't the biggest uni fan, so this was more for me, but I loved it so much, I'd definitely go back next time I'm in the area. 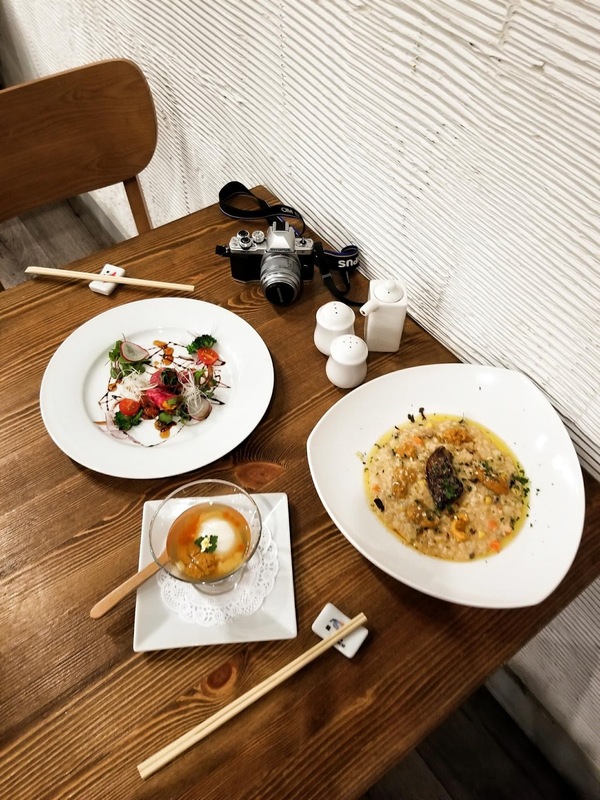 I ordered the Uni Onsen Tamago, Kobe Beef and Uni Roll, and the Uni and Foie Gras Risotto. The Uni Onsen Tamago was light and decadent with the floating bits of uni and salty bursts of the ikura (salmon roe). 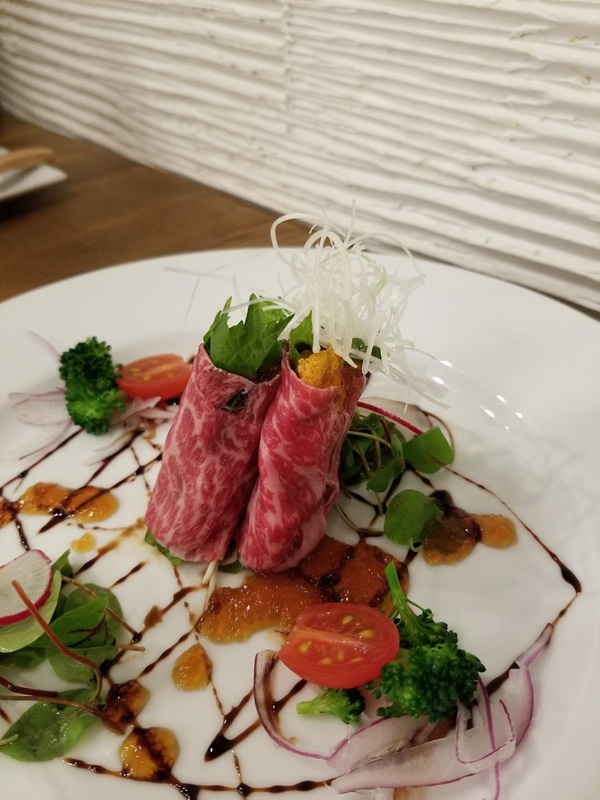 The Kobe Beef and Uni Roll was rich with a mouthwatering experience. 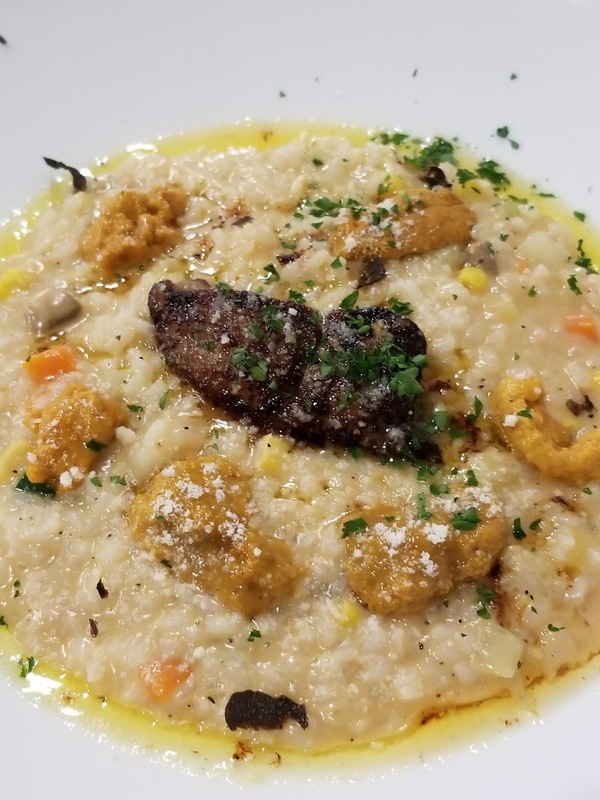 The Uni Foie Gras Risotto was all of the above and everything I'd ever want from an uni dish. 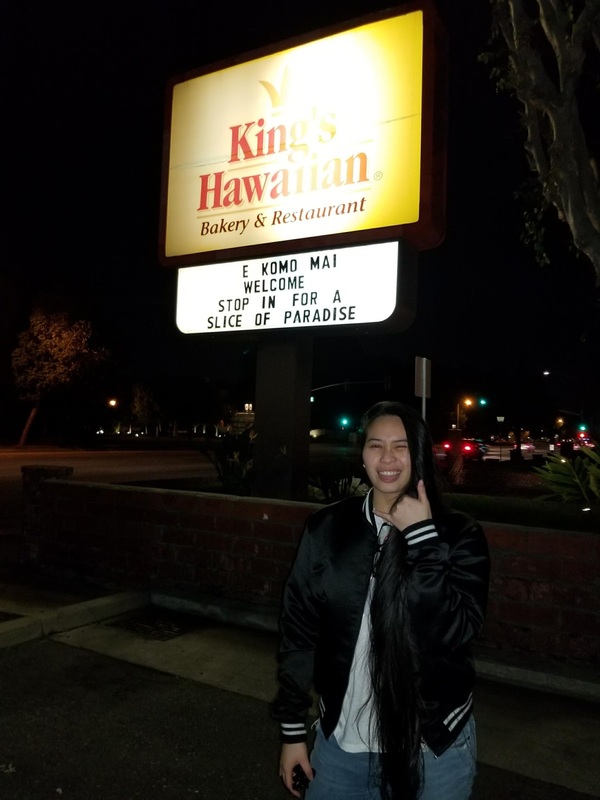 King's Hawaiian Bakery - We didn't actually stop in here, but since we were already in the area, we decided to at least take a photo! I love King's Hawaiian breads (their rolls are the bomb!) and if we were hungry, we would've stopped in for a slice of paradise for sure. 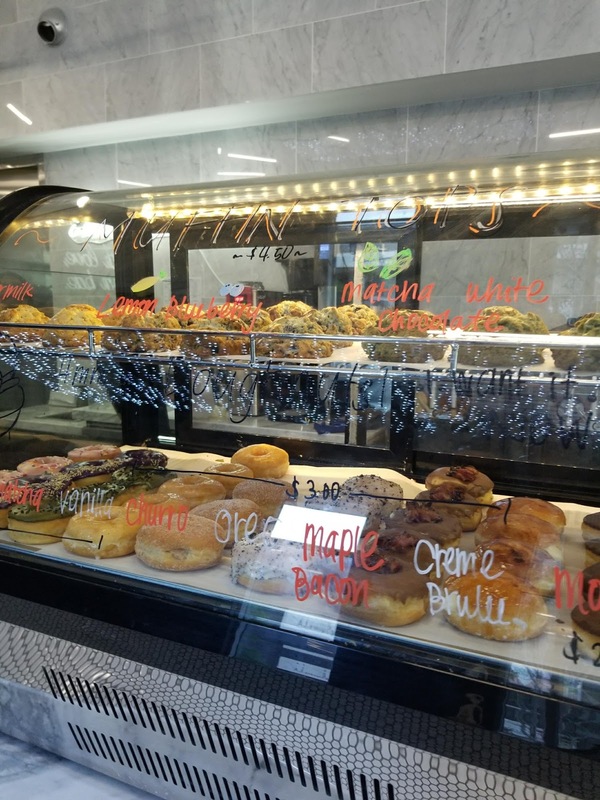 Cafe Bora - Koreatown is a must stop when you're in LA simply because of the fact that there's an incredible food and dessert scene there. 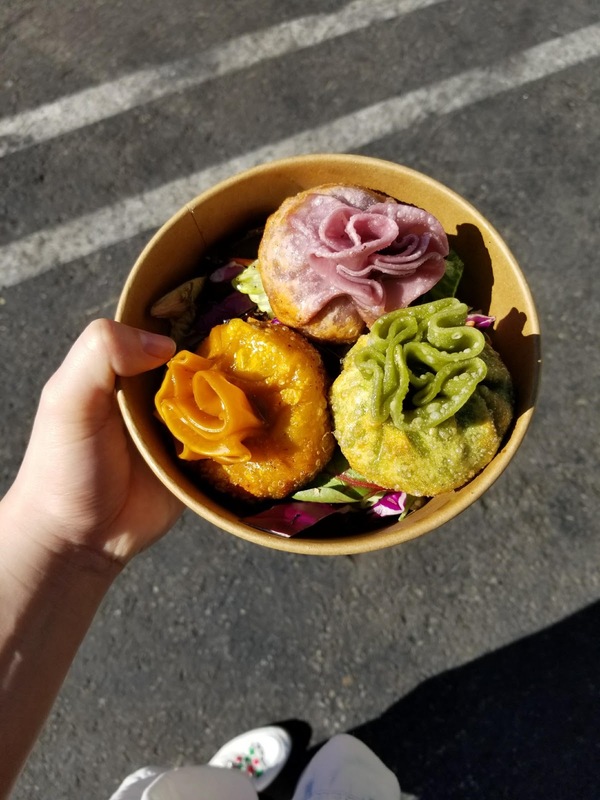 One of the first stops we went to was Cafe Bora where they serve sweet potato treats! 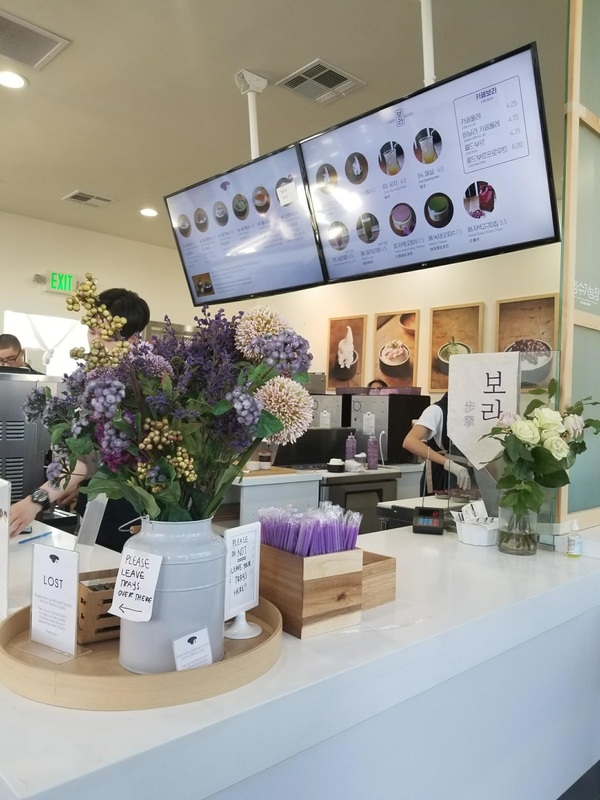 They've got soft serve, lattes, and my favorite, Bingsu - Korean style shaved ice. 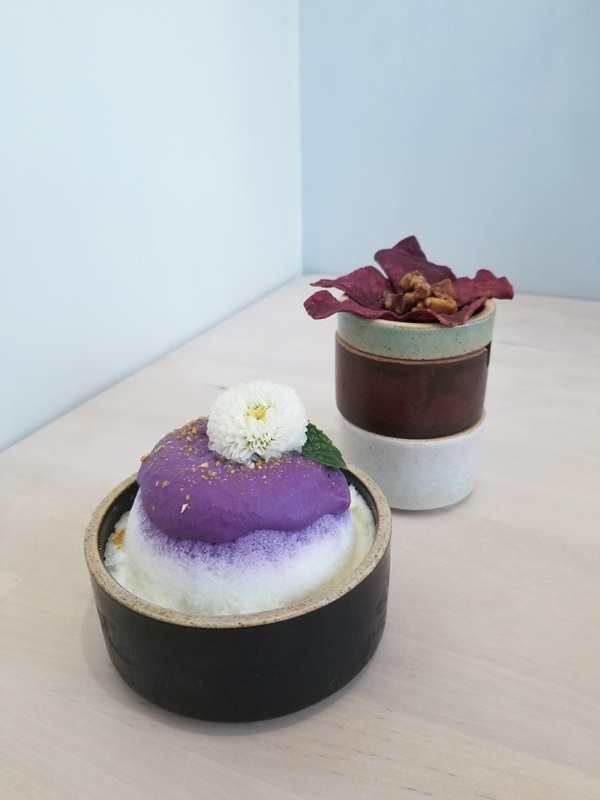 Plus, the decor is bright and fun, and everything is IG worthy as well as being super tasty. Their Sweet Potato topped Bingsu was probably one of the best Bingsu I've ever had. 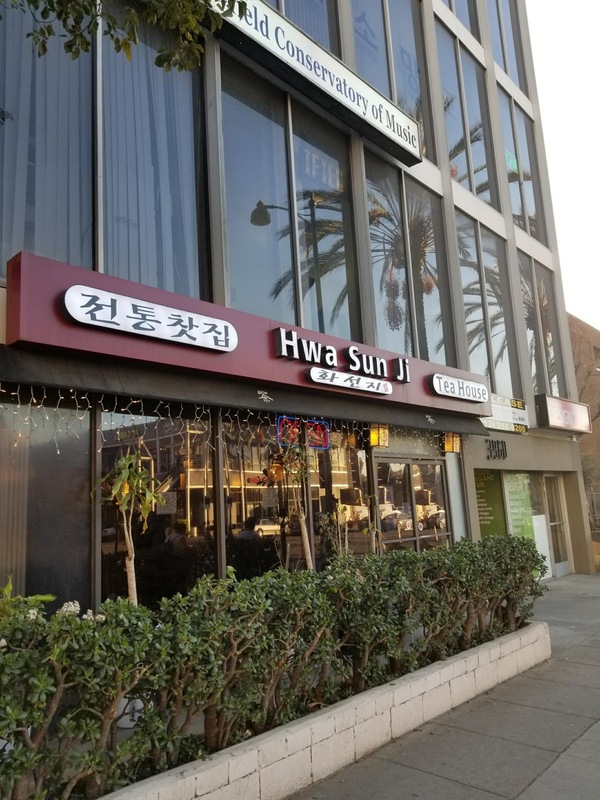 Kang Ho Dong Baekjong - Korean BBQ is a must in Koreatown and this place was amazing! The wait was a bit long but well worth it. 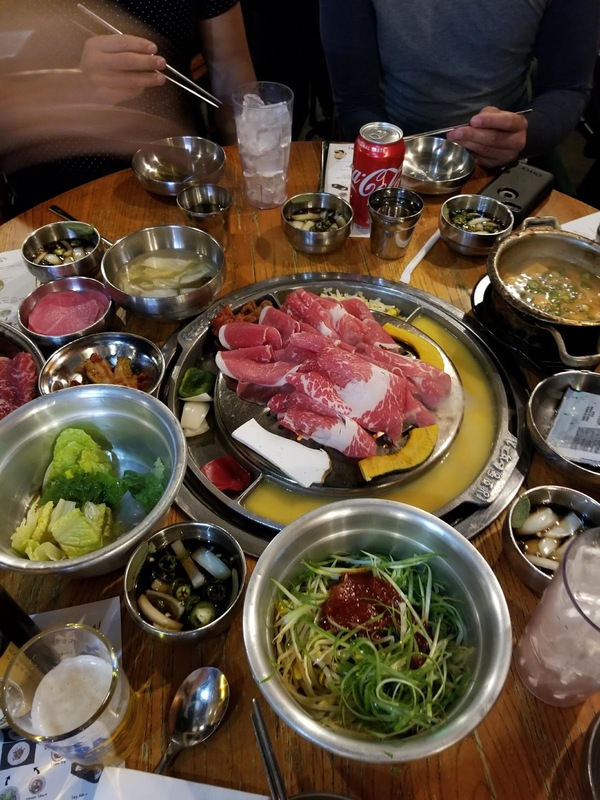 They do KBBQ a bit different than up here in Seattle where the grill also has an area for eggs, veggies, and corn with cheese to add to your dishes. They also serve nori (seaweed) along with radish to create your own wrap. I'm used to the wraps with lettuce, but there was salad there too that worked well with the meats too. 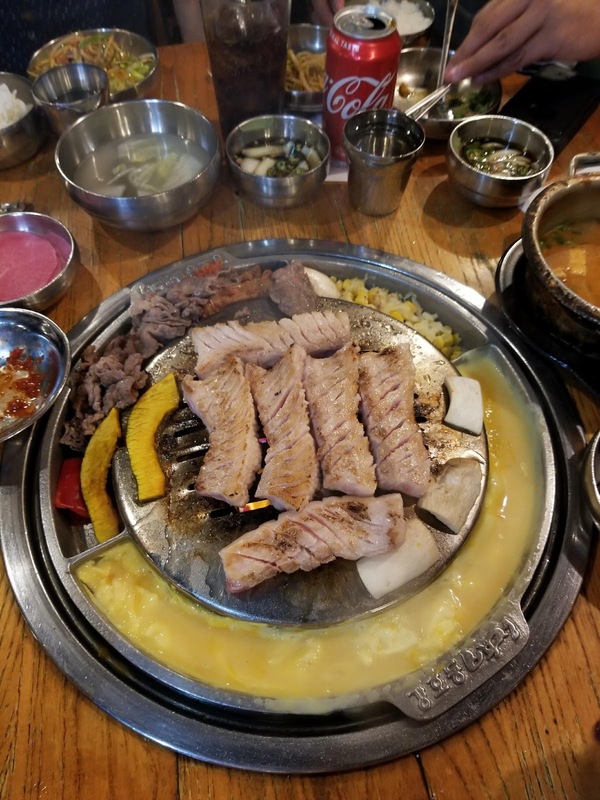 The quality of the beef and pork were amazing, however, they're very particular about when to cook what and they definitely don't want you to cook your food, at all. They also didn't serve any hot tea and that was kind of odd - some hot barely tea would've been great to wash down the fat from the meats! I also wish they did the thinly sliced pork belly here, but hey, it was still good. 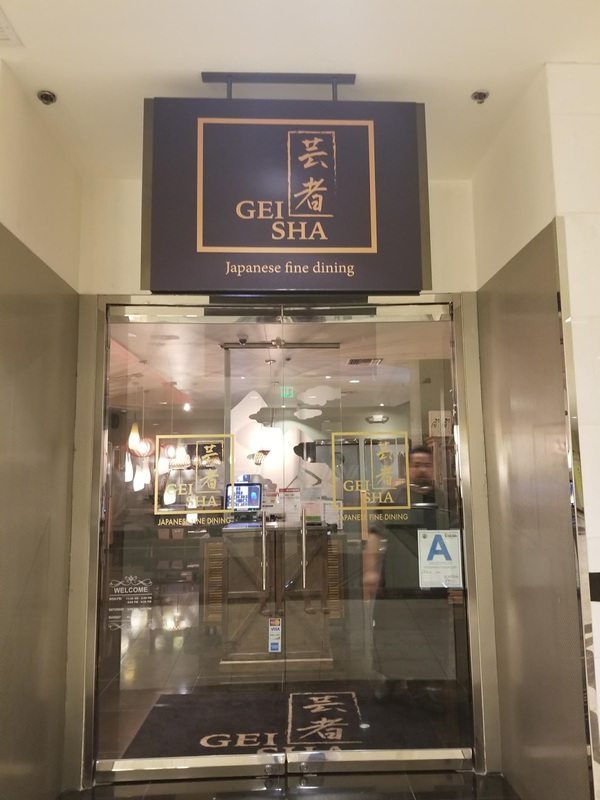 Koreatown Galleria - I love the little shopping centers within Koreatown, especially their food courts. 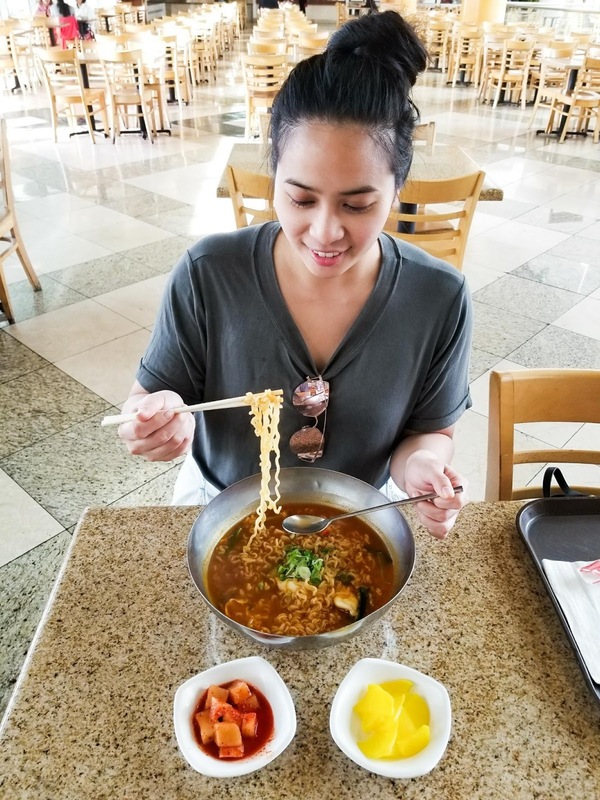 We got to this one a bit early so not a lot was ready yet, however, one spot had a big bowl of ramyun/ramen (#6) on their menu and I hopped on it. It was spicy, but delicious. 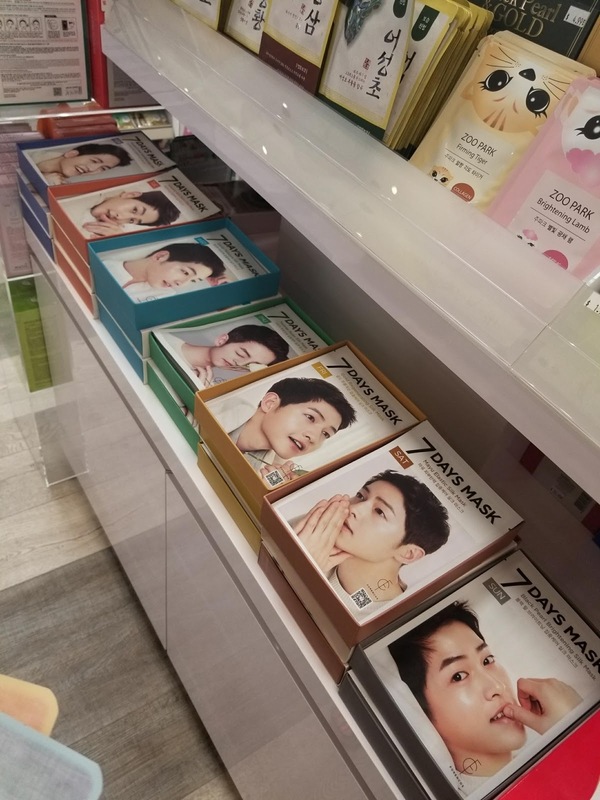 The Galleria also had a nice beauty shop with a ton of facial sheet masks and I had to pick up one or ten for home. 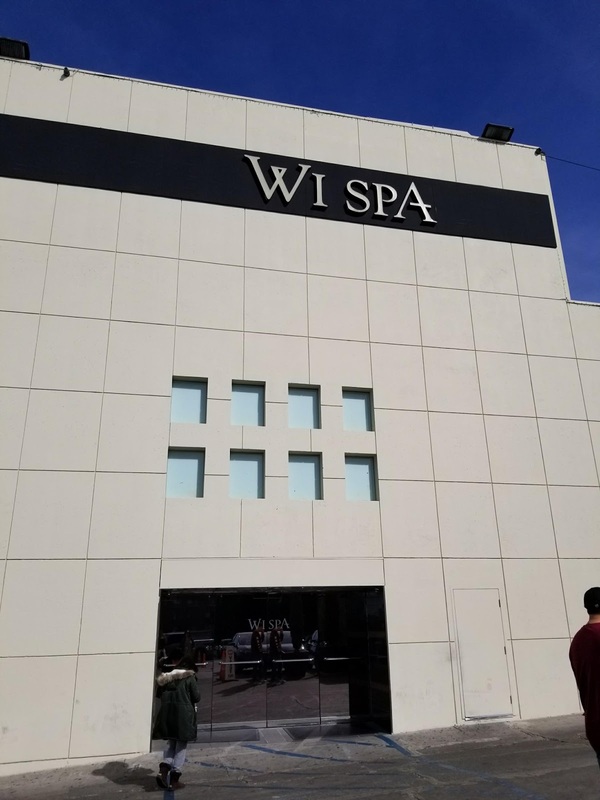 Wi Spa - The infamous Korean spa where many of celebrities (like Steven Yeun and Conan O'Brien) have gone to get a body scrub and massage. 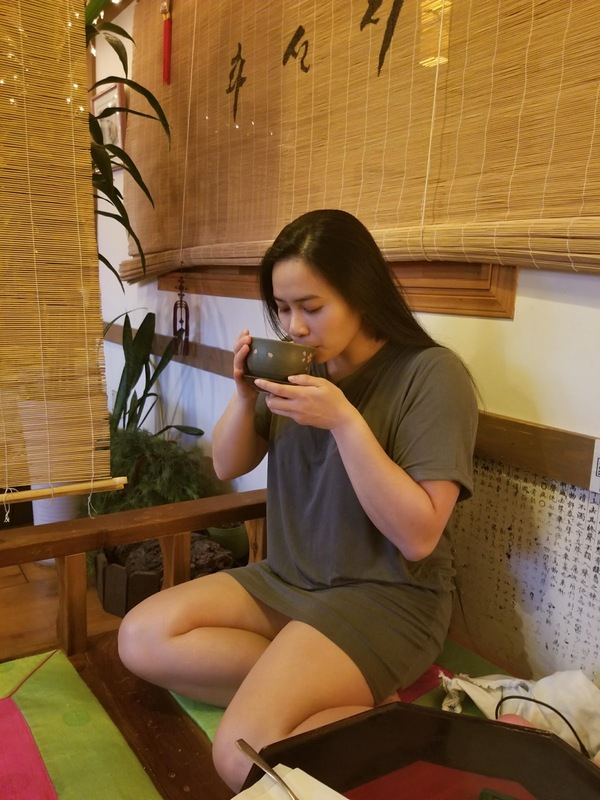 This was my first ever Korean spa experience and it was a game changer! I think I'll do a full recap of my experience here so stay tuned for that! One note - this place is not for the modest! Be prepared. 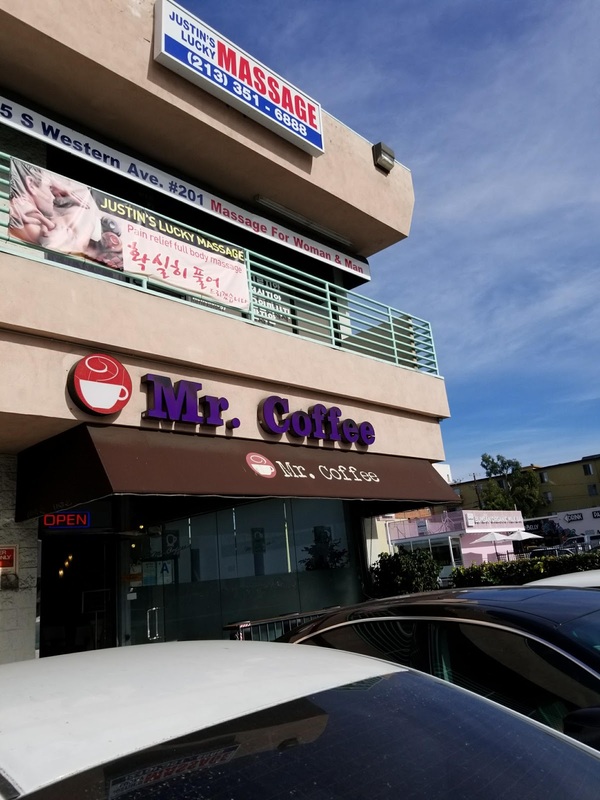 Mr. Coffee - The thing I love about Koreatown is the abundance of little food and drink shops around. This was a random stop for some tea to help us cleanse the heavy foods we ate. I ended up getting the Ssanghwacha which was a mixture of different roots for a spiced earthy tea. 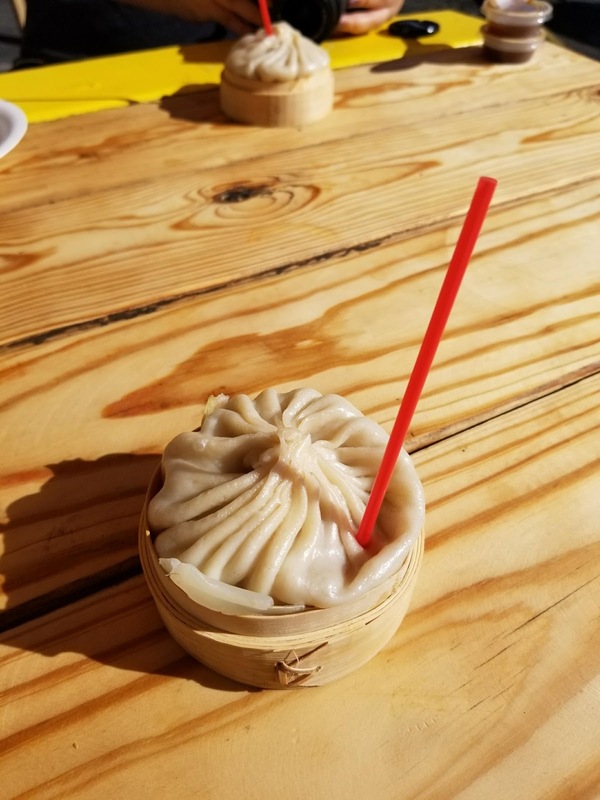 Hwa Sun Ji - Another tea spot, this one had a traditional interior and old school vibe that made it really calming and relaxing. We stayed here a bit just to relax and drink some tea. 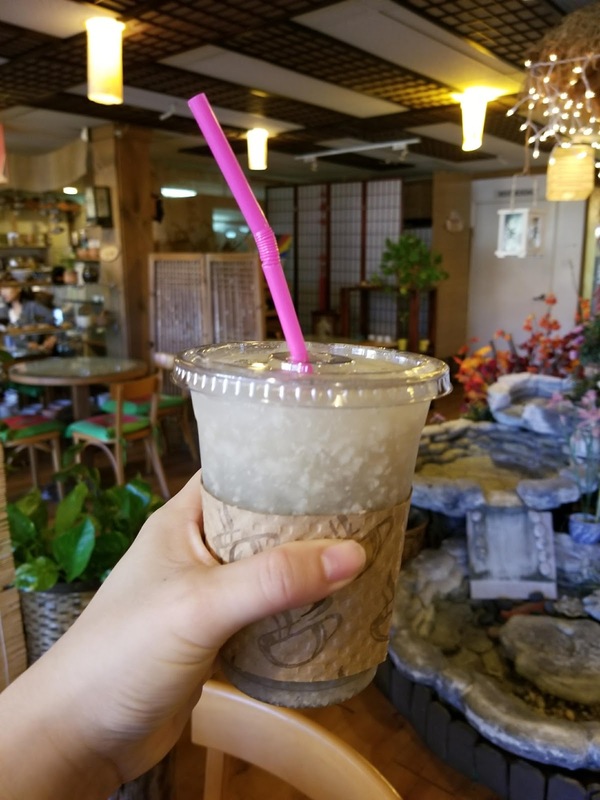 I had the plum tea as well as their Cinnamon punch aka Sujeonggwa, both to help with digestion. 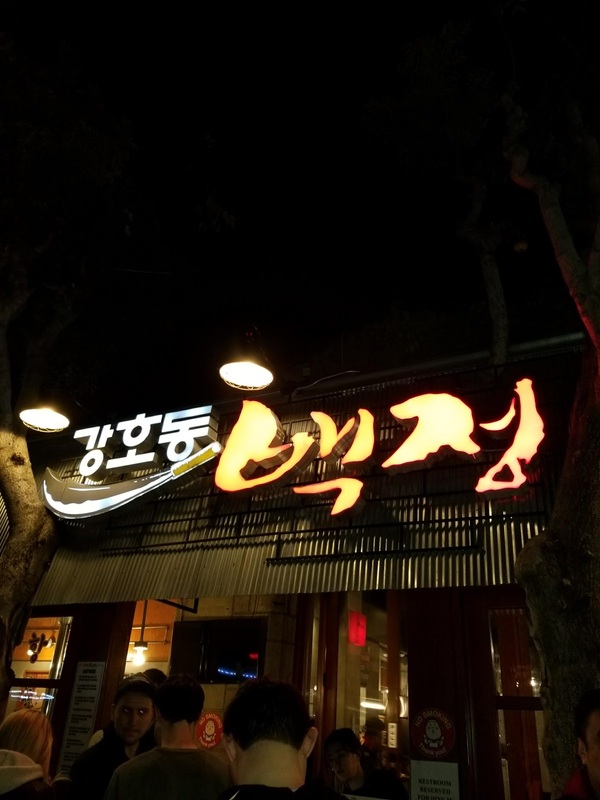 I ended up coming back here the next day for their rice punch aka Sikhye which was refreshing and satisfying. 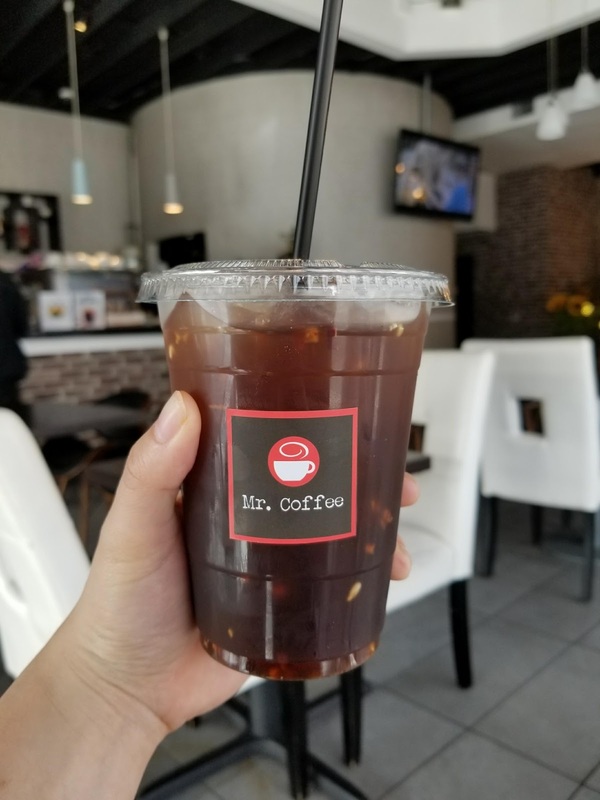 I can't recommend this place enough if you're looking to simply relax and enjoy some delicious tea. 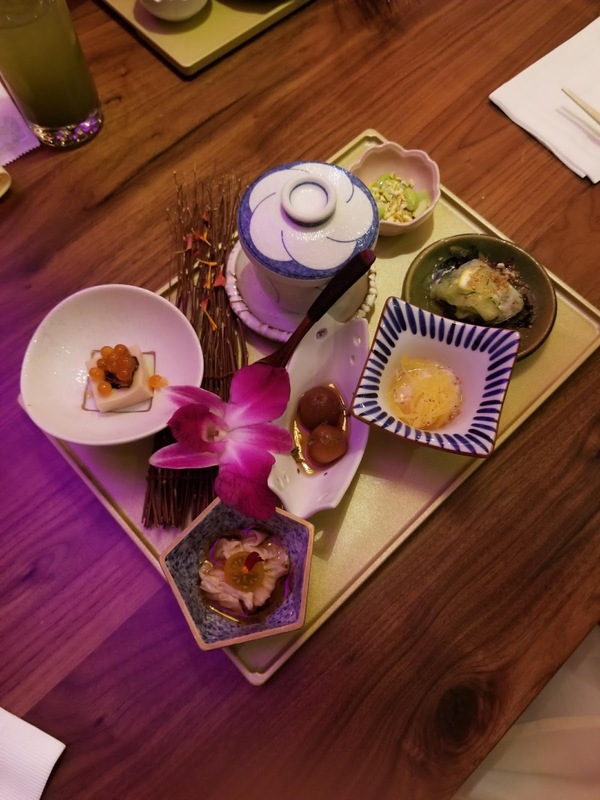 Geisha Japanese Restaurant - A newer restaurant (according to Yelp), this Korean owned Japanese restaurant was a random spur-of-the-moment find that ended up being a rewarding dining experience. 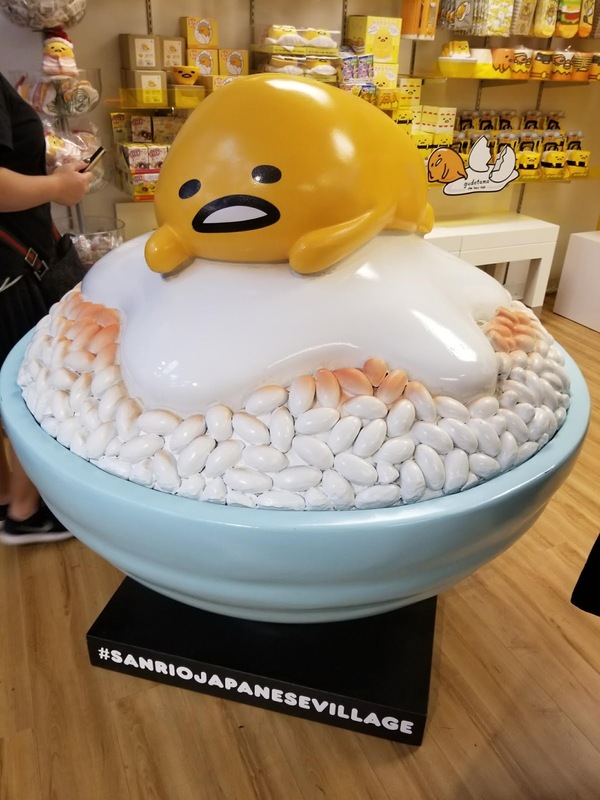 They had a small menu of sushi/sashimi and chirashi bowls and then their omakase tasting menu. 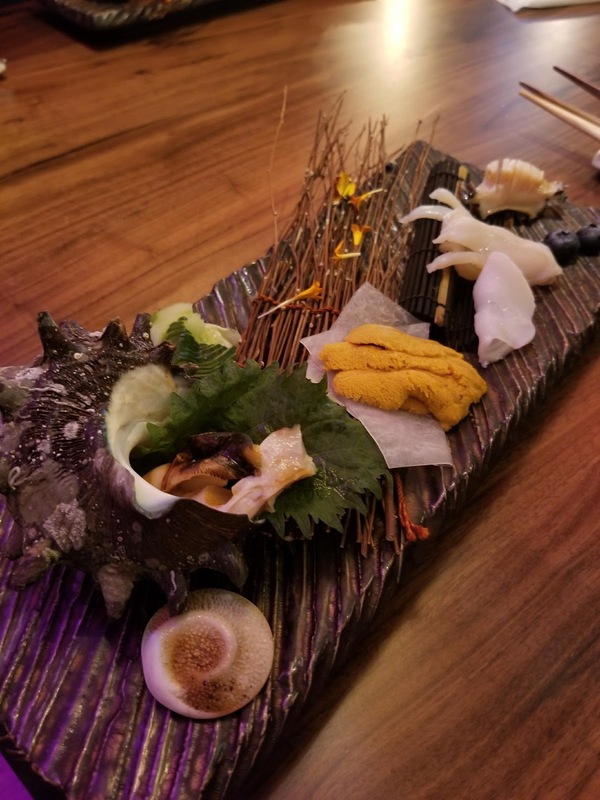 We went all out and did their omakase which was filled with about 10 dishes that did not disappoint! This restaurant was also located in the same building where they have an indoor driving range - that was also cool to see. 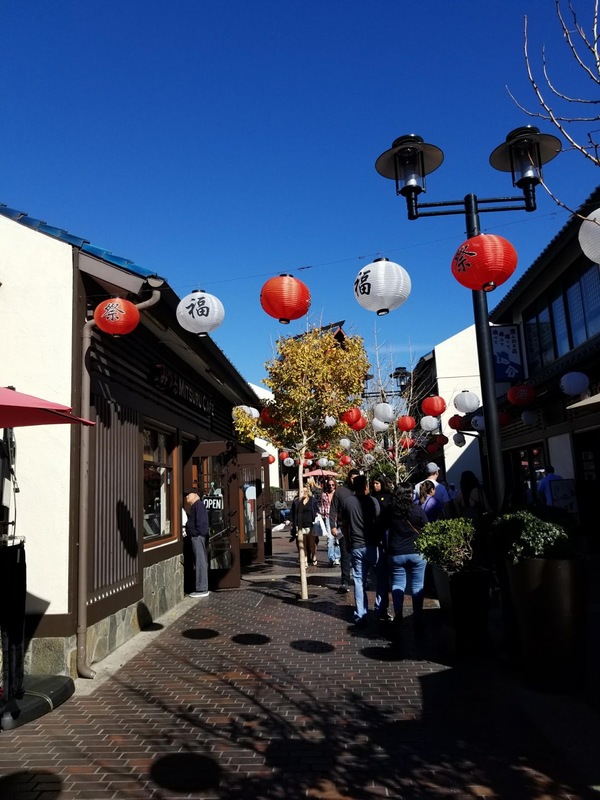 Japanese Village Plaza - This lively shopping area was filled with cute shops and restaurants. 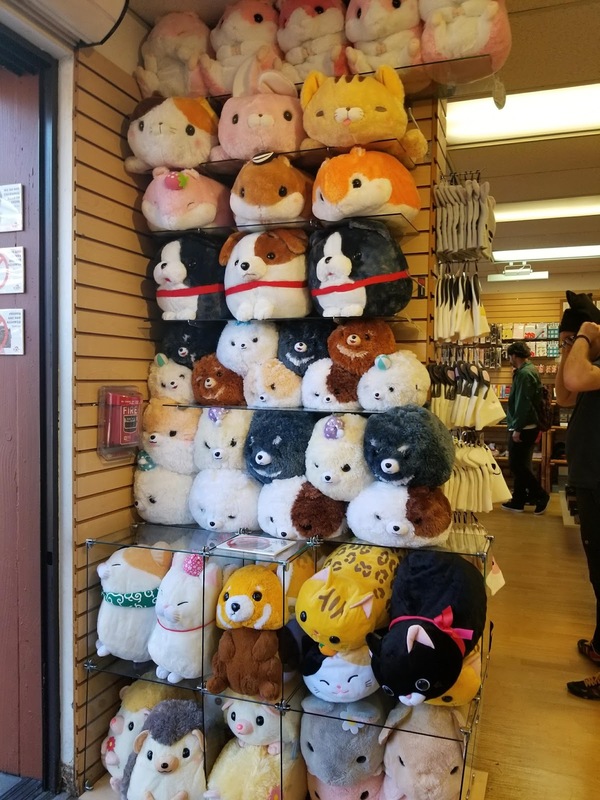 I wanted to buy all thing things but held myself back, except when I went to the Sanrio store to buy all the Pochacco items I could find! Ha ha. 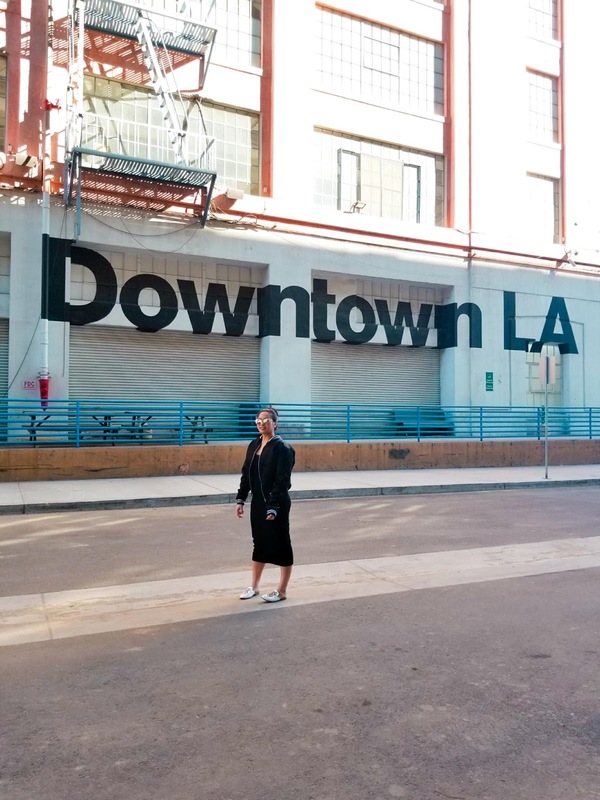 It's a fun area that I would recommend walking through at least once while you're in LA. 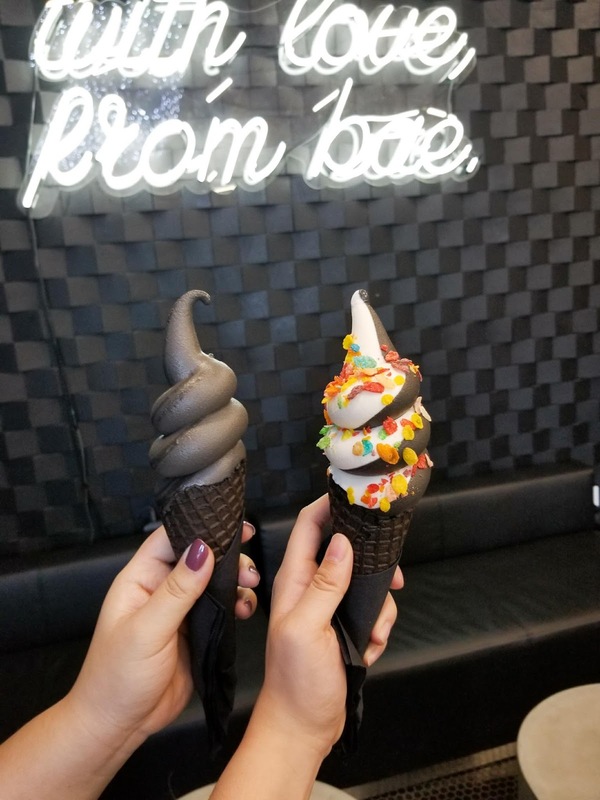 Bae - If you're a fan of the charcoal soft serve, and tasty ice cream flavors in general, then Bae is for you! 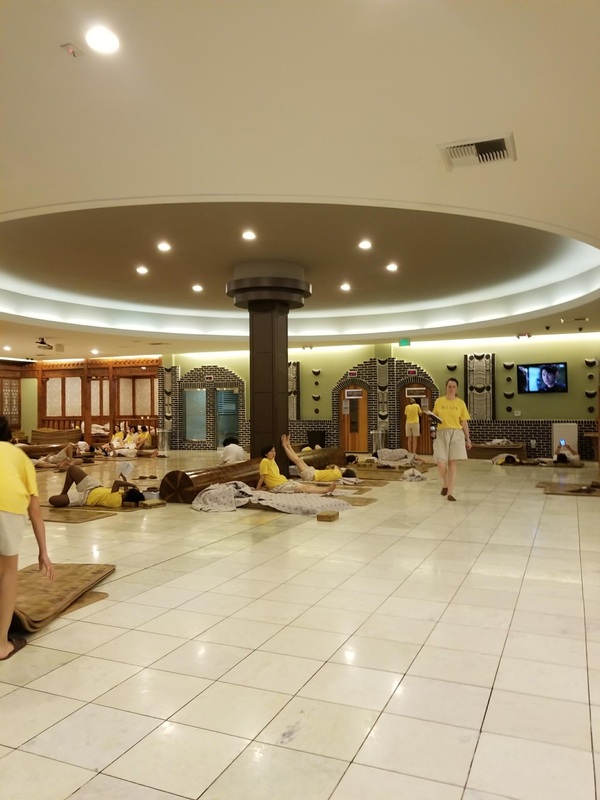 Everything from the names of their flavors, decoration, and ambiance were on point. 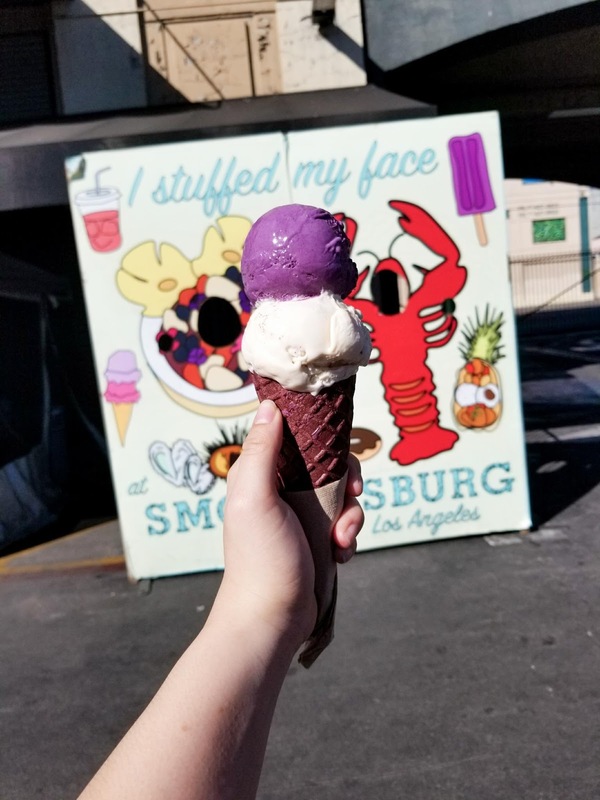 Their charcoal soft serve was pineapple flavored and it was basically like eating black dole whip! 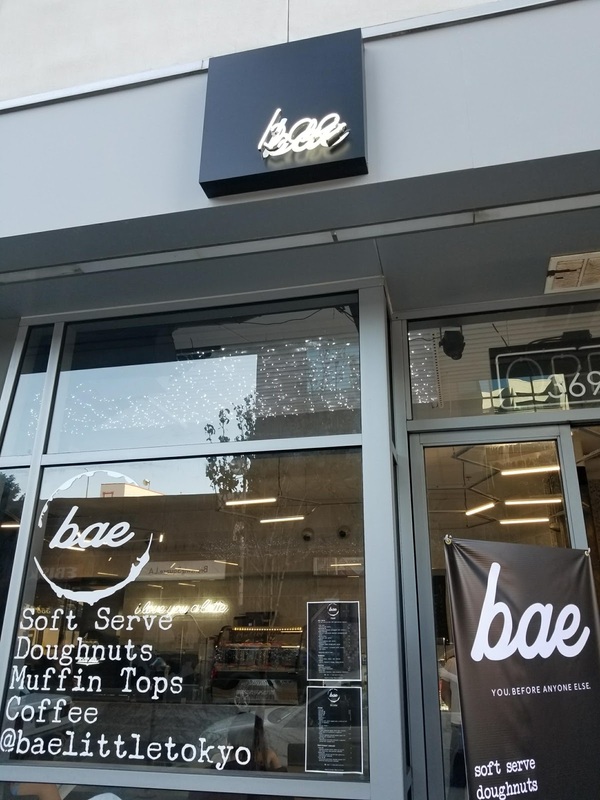 They also serve coffee, muffin tops, and unique flavored donuts - if you're a fan of sweets, then I highly recommend! 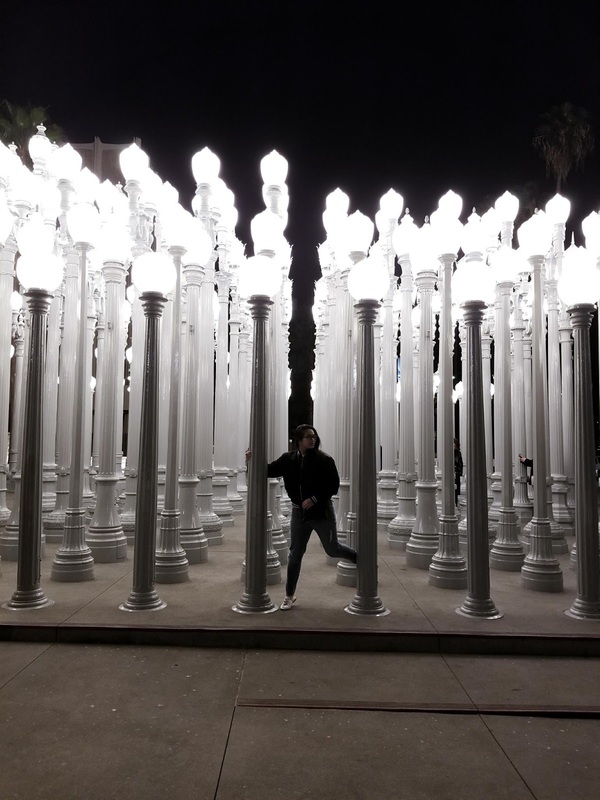 Los Angeles County Museum of Art: Urban Light - A must see tourist attraction in LA, this art installation is popular among everybody and the best time to go is at night when the lights are all lit. The later, the better - you can avoid the most people. 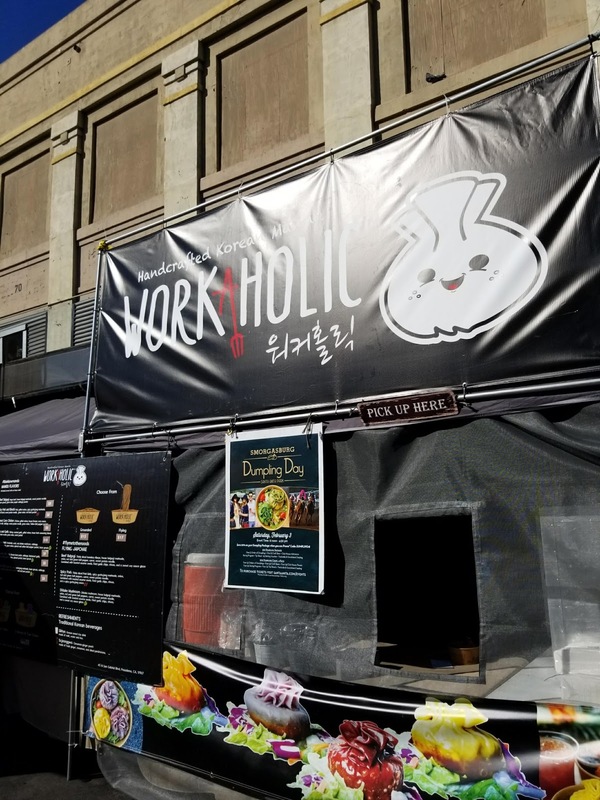 Smorgasburg LA - Every Sunday in Downtown, LA in the new ROW development, there's a foodie market happening with vendors from all over. There were tons of cool vendors to choose from. 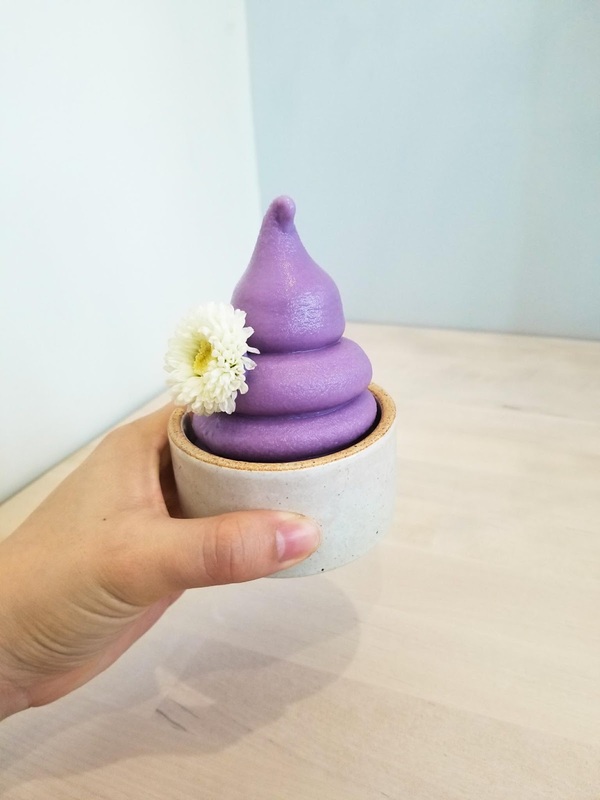 We ended up eating at Brothecary for their giant Xiao Long Bao filled with soup, Workaholic for the Mandu (korean style dumplings), and my dessert of choice Wanderlust Creamery where they had purple ube cones to go with their ube crunch ice cream! 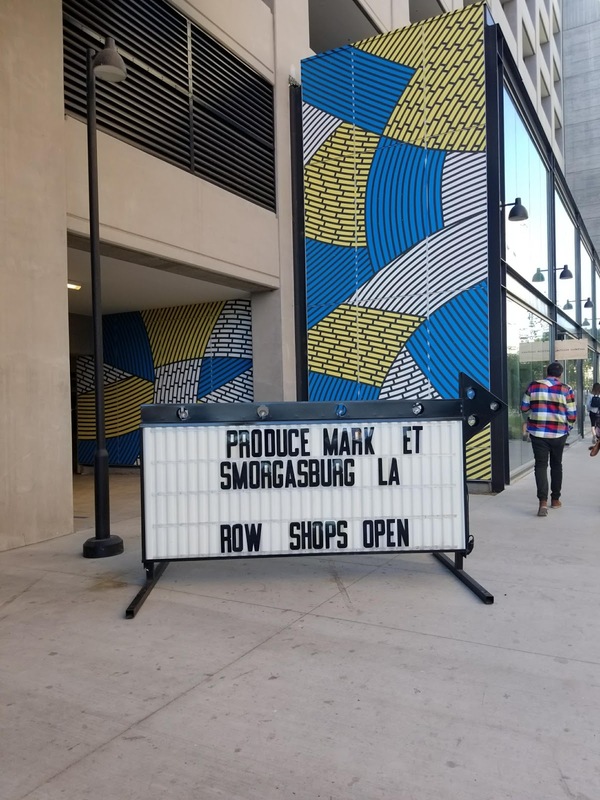 If you're here on a Sunday, it's worth a visit. I recommend going early, right when they open as the parking lots can fill up and the lines will get long. That's it for my post recapping my quick trip to LA! 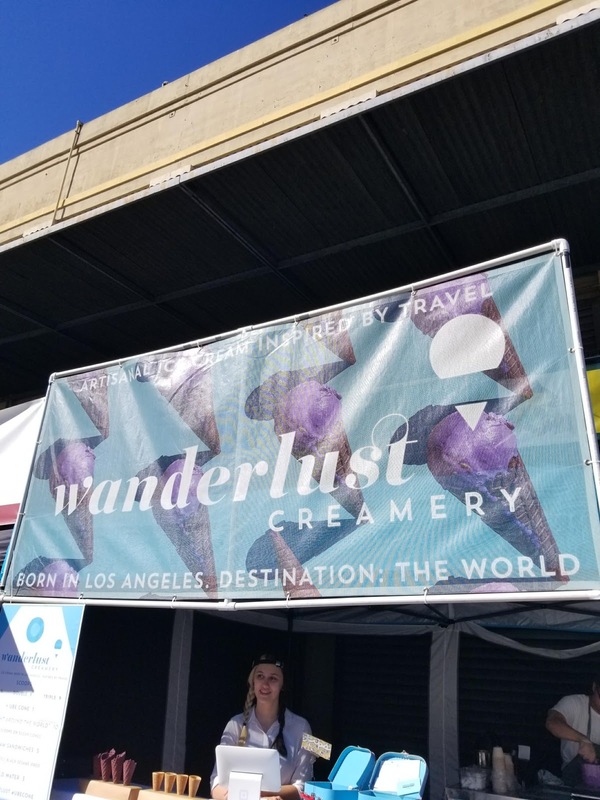 I hope this helps anyone that plans to visit - there are a TON more places I want to go to and I hope to make it down to Los Angeles more frequently. 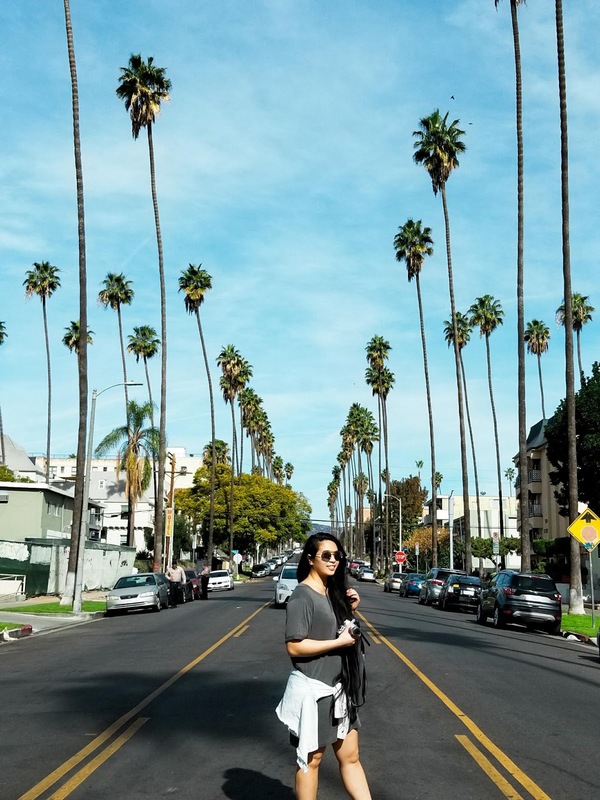 Do you guys have any recommendations for spots to check out in LA? I'd love to add them to my list!